Last week HIV.gov covered HIV research coming out of the 2019 Conference on Retroviruses and Opportunistic Infections (CROI). We spoke with several federal HIV experts who highlighted some of the key takeaways from the conference and provided helpful context. A headline-making report of a second person “cured” of HIV after a stem cell transplant to treat cancer. NIH’s Dr. Carl Dieffenbach explained the research finding and that such an intensive and risky procedure is not scalable for widespread use. Watch his video. NIH’s Dr. Anthony Fauci provided a detailed overview of Ending the HIV Epidemic: A Plan for America. Watch our conversation with him. Before the conference opened, Dr. Carl Dieffenbach spoke about some of the current issues in the field of HIV research and he highlighted some of the upcoming talks he was most excited about. He describes why research to help optimize the process of testing, linking to care, and treating people living with HIV is so critical. How he and the leaders at the U.S. Department of Health and Human Services have collaborated on a strategy to make best use of the highly effective tools that are now available – specifically, HIV treatment and pre-exposure prophylaxis (PrEP). he roles that research and NIH, specifically, will play in the new initiative. A study that found that the availability of point-of-care viral load testing significantly improved HIV viral suppression and retention in care in South Africa, partly by ensuring rapid receipt of viral load results to patients and their providers. CDC’s role in the Ending the HIV Epidemic Plan. 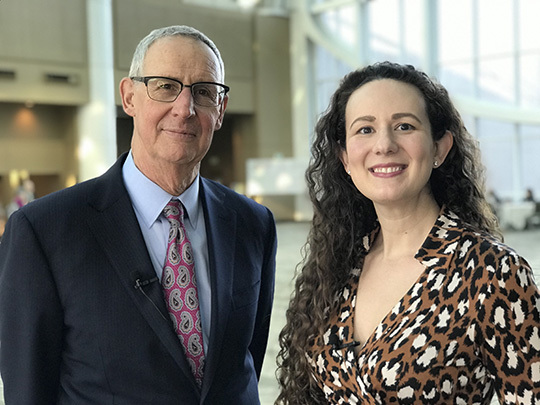 In addition, we shared several news releases and blog posts from our colleagues at NIH’s National Institute of Allergy and Infectious Diseases (NIAID), featuring NIAID-supported studies presented at CROI 2019. All of our coverage from CROI can be found using the CROI Tag. Check out the posts and videos if you missed them. Share feedback with us about our coverage of CROI and HIV research on Facebook or Twitter . Read more about Federal HIV research activities and the agencies involved elsewhere on HIV.gov.